Two more very successful Catch Up® Accredited Trainer conferences took place last term. 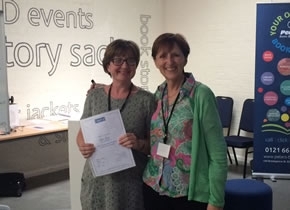 The first, during July, at Peters Books and Furniture (our fabulous Birmingham Regional Training Centre), with the second taking place in August at the Catch Up base in Thetford! The average delegate response to ‘How helpful has the conference been to you?’ was 5 (with 1 being ‘least helpful’ and 5 being ‘most helpful’)! Catch Up® Director, Julie Lawes, hosted the conferences with the rest of the team, with the aim of ensuring that all of the Accredited Trainers and office staff were fully updated with, and had the opportunity to contribute to, the exciting developments within Catch Up®!